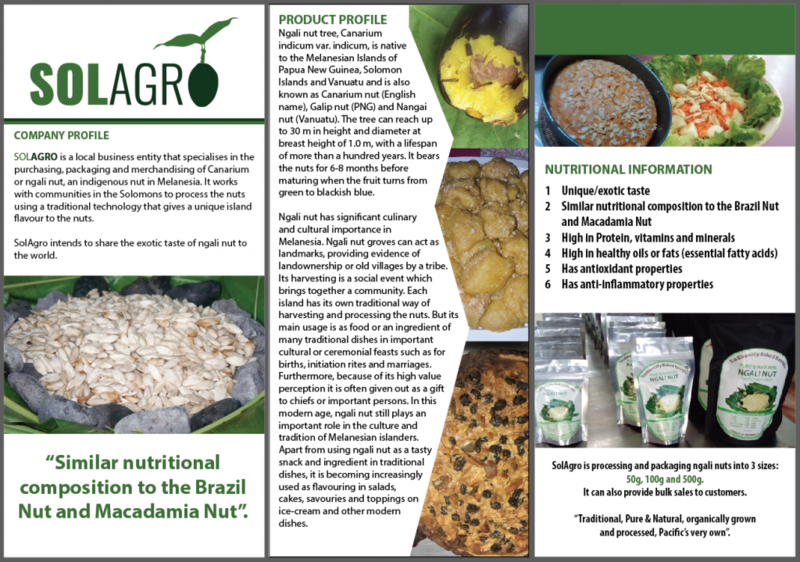 To present the ngali nut as a tasty, highly nutritious and significant cultural food. It is designed especially to appeal to tourists and foodists. The traditional method of processing the nuts is maintained to present an authentic, original product that is truly from the Solomon Islands. Its use is a celebration of culture. Ngali nut also contains healthy fats and bioactive chemicals with anti-oxidant and anti-inflammatory.